We all make bad decisions from time to time, but when it comes to breaking the law, poor judgment could land you in front of a District Court Judge facing potential time behind bars. The defendant in R v Mauger knows this only too well. The 32 year-old had no prior criminal record, was not a regular drug user and had been an active supporter of many charities, including assisting Samoan villagers affected by the 2010 tsunami. He was completing his Masters Degree in Applied Finance and had a promising career ahead of him. But when he was arrested for carrying 20 pills of ecstasy and 3.1 grams of cannabis, Mr Mauger was charged with drug supply and was facing a maximum penalty of fifteen years in jail. Instead, following a plea of guilty, the District Court Judge handed down a two-year good behaviour bond and dismissed the charges without recording a criminal conviction against him under a section 10 (now section 10 dismissal or conditional release order) of the Crimes (Sentencing Procedures) Act 1999. A person who is guilty of any criminal offence may be dealt with under a section 10 dismissal or conditional release order, which allows for them to receive no criminal record. Although it is more likely to receive a non conviction order for a minor offence, there is no law saying that a non conviction order can’t be awarded for a serious crime. Non conviction orders are intended to avoid rigid applications of the law. 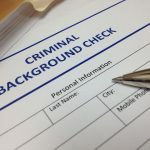 It allows offenders to keep their good reputation and not suffer the negative consequences of having a criminal record, some of which can be quite substantial, involving termination of employment or refusal of entry into other countries. Indeed, Mr Mauger was looking at losing his job if convicted. 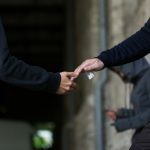 For first-time offenders with relatively good rehabilitation prospects and evidence that the offence was out of character, the granting of a non conviction order may well be possible. The prosecution appealed the District Court’s judgment in Mr Mauger’s case on the grounds that the sentence was manifestly inadequate. The Supreme Court then examined the reasoning and purpose behind a non conviction order. 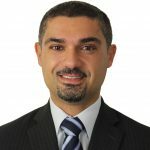 It found that the penalty imposed for a criminal offence should reflect the objective seriousness of the crime, and that the potential consequences of a conviction are not the most important consideration. The Supreme Court also found that some of the mitigating factors argued by Mauger were irrelevant or incorrect. There was also insufficient evidence to show that Mr Mauger would not be able to travel overseas if convicted. However, the potential loss of a career was a relevant consideration and Mr Mauger was able to show that he faced losing his present job and not being able to get a job in his chosen field if convicted. The Supreme Court therefore found that a non conviction order were not “manifestly inadequate” in Mr Mauger’s case and refused the prosecution’s Appeal. For Mauger, at least, a guilty plea ended happily despite his offence being very serious. A non conviction order is by no means a guaranteed “get out of jail free” card, but a guilty plea, coupled with mitigating factors may be enough to avoid a criminal conviction. Each case will be measured against the principle that the penalty should reflect the seriousness of the offence committed. It is clearly not the appropriate way to deal with all criminal cases and will only be granted in serious cases if there are good reasons.